WHITE LIGHTNING: Birthday Tribute: Who, Me? Good grief. it's that time of year again; I got one year older. HOW DOES THAT KEEP HAPPENING? 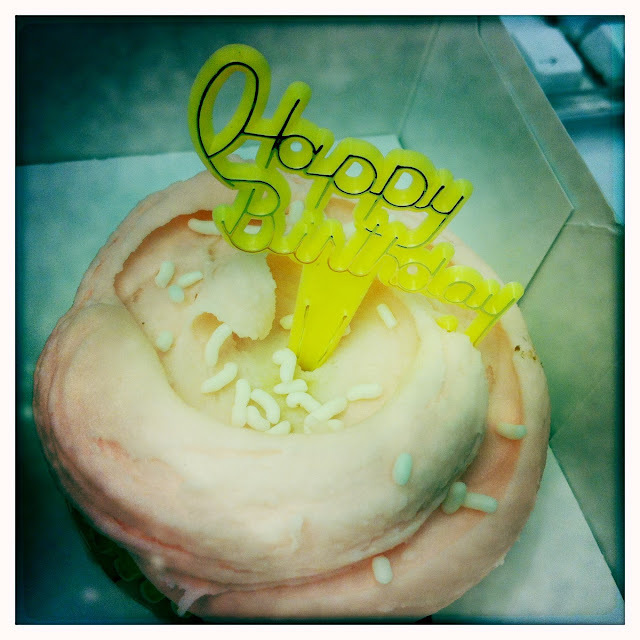 I mean, freelancing in an office is pretty rad when your friends leave cupcakes on your desk! Thank you, Nadia. And later: tequila! For it is also the Day of the Dead, and that is MUCH more fun to celebrate. I hope I get an iPad, some cake and DRUNK. Shout out to SCORPIO BIRTHDAYSSSSS, whuttt..Happy Day! may you have the happiest birthday ever. found your website a few weeks ago and now i read it every day! And now I present to you a video of everyone's favorite stoner/pitcher Tim Lincecumm wearing a bowtie.... seriously. Who knew Timmy was so fashionable? Happy birthday you gorgeous girl! PS: Loved the dancing video of you on Aldo. You are so adorable!! now I follow u !!!!!! i just sent you a virtual "too legit to quit" t-shirt. hope you like it. happy cake eating! im a scorpio baby too...we get a bad rap but i think the appropriate scorpio response to that would be "whatevs yo, they're just jealous." tell me you've heard this song..
click the link ("listen to samples") at the bottom to sample the song "Moonshine Mountain" -- i've been thinking about this for months! Happy happy happy happy belated birthday! I hope it was amazeballs. For whatever reasons money setback exist, the normal nature for individuals is to secure an advance to take care of the issue.